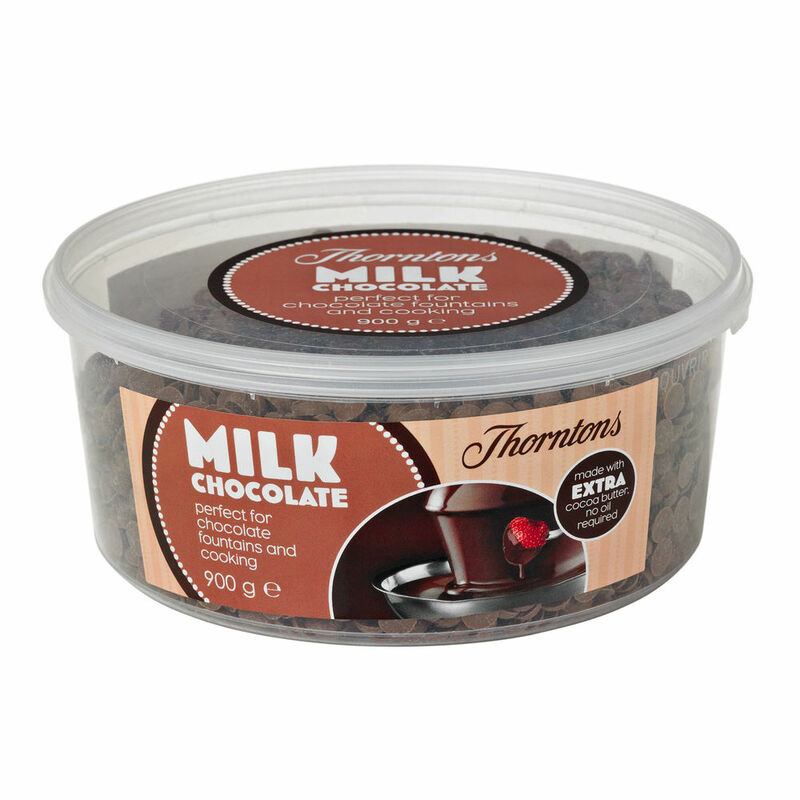 Thorntons milk chocolate tub is a must have in every foodie's kitchen, perfect for cooking, making hot chocolates or for your chocolate fountain. Tasty and simple to prepare, all you need to do is pop it in the microwave. Our delicious milk chocolate is made with extra cocoa butter so no oil is needed. It's almost worth throwing a party just so you can have one! The tub will fill a mini chocolate fountain and provide a generous serving for 6 people. 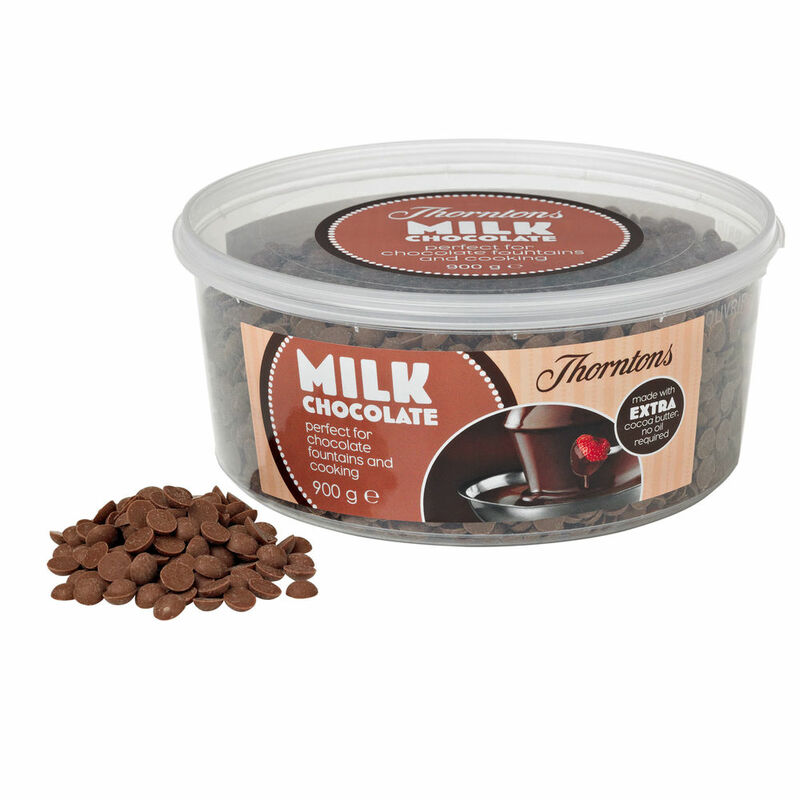 Milk chocolate contains: cocoa solids 37% minimum, milk solids 17% minimum. Sugar,Cocoa Butter,Dried Whole MILK,Cocoa Mass,Lactose (MILK),Emulsifier (SOYA Lecithin).